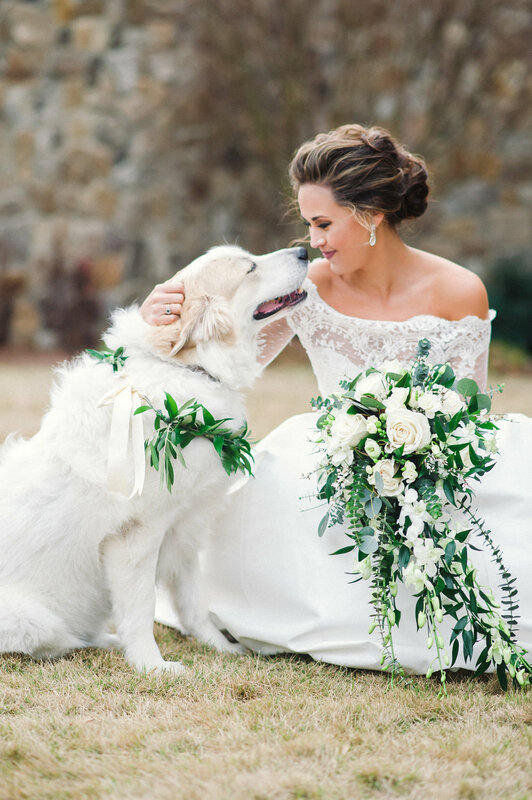 Our couples often ask about bringing along dogs for engagement sessions and even the wedding day. 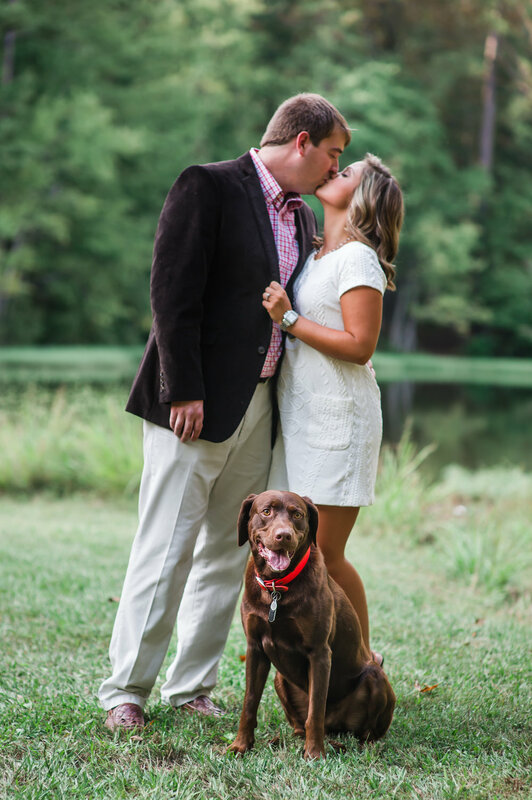 It is the second most exciting question we get - just after "will you shoot our wedding" :) Patrick and I like controlled chaos, so believe me when I say that we LOVE photographing our couples with their dogs. We have a Golden Retriever and sweet Spaniel rescue at our home ... our girls ARE family. 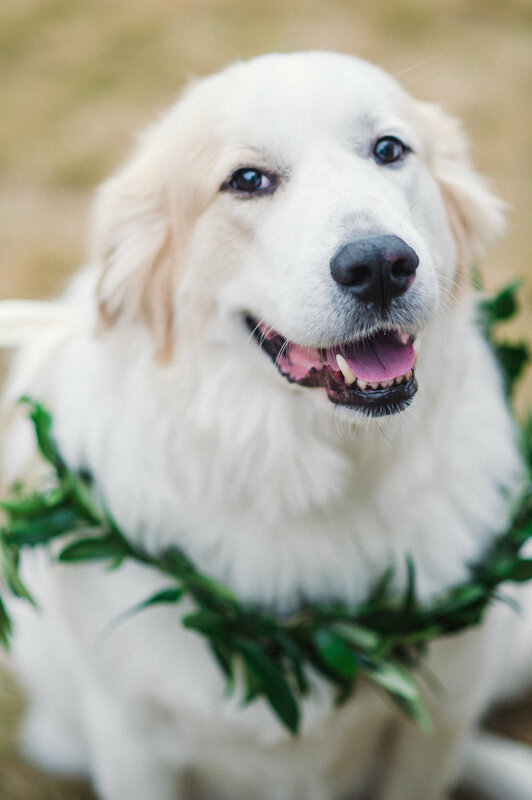 We are well versed in working with little ones of the human and non-human type (hello - three HUMAN kids also ;), so know that we are willing and ready to include your dog! We won't stop short of dancing like a fool to make your fur friend look at the camera or shouting his favorite code words. Aside from that, though, there are a few things that can help the session go splendidly well. Here are three short tips to help make your dog filled photography experience perfect! 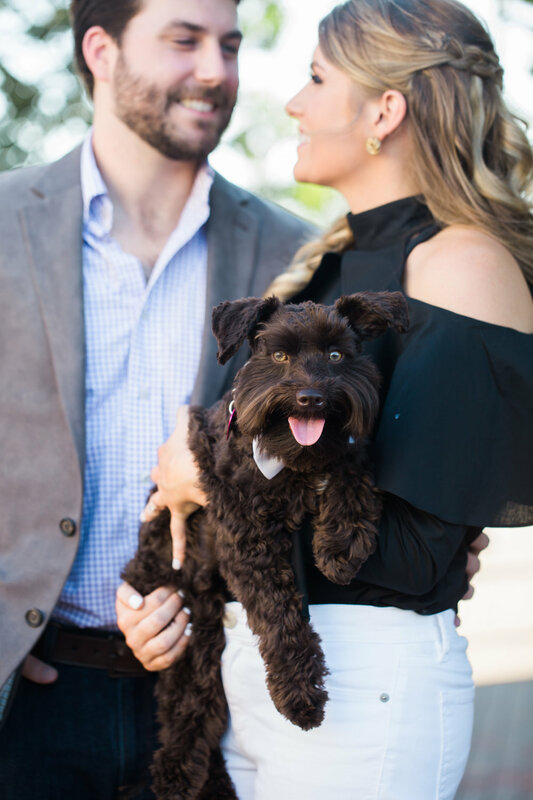 1) Dogs Come First: Plan on having your dog come at the beginning of the engagement session or just after the first look. We can get your pal in and out before he becomes a party pooper (totally bad joke ;) But seriously! 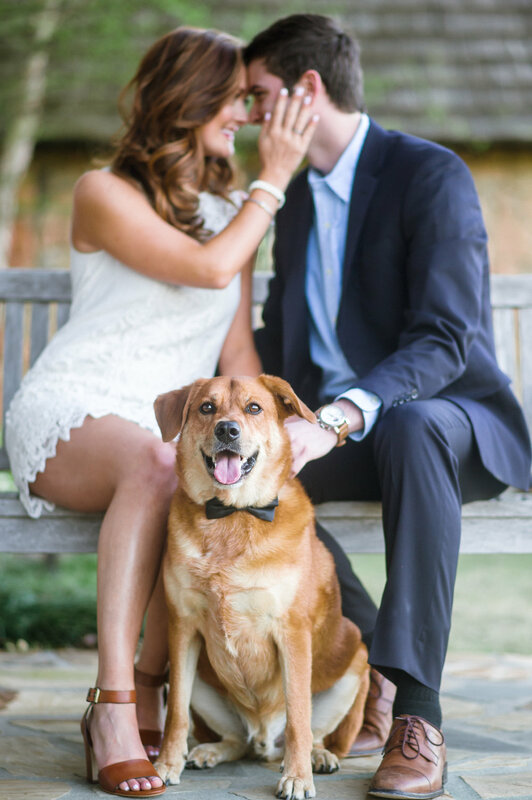 3) Dress The Dog: Consider leash and collar choices when planning your session. 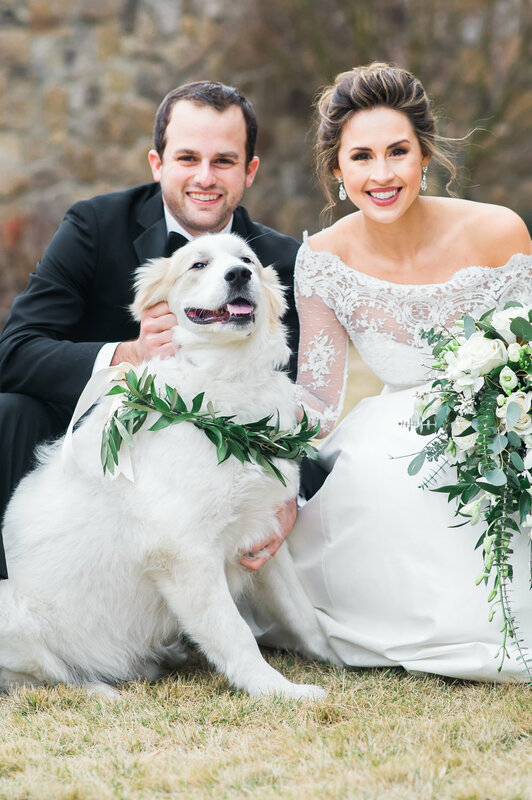 We know you've spent countless hours preparing yourself for these pictures, but don't forget to make your four legged friend look his best, too! Floral collars are also a DARLING touch .... see the one above from HotHouse Design Studio. We encourage our couples to choose locations and elements truly special to them. This is one of the main reasons we adore adding in your pets. They help get you laughing and interacting naturally ... authenticity is beautiful. Be sure to give us a heads up if you plan on bringing your pup, so we can verify venue rules and guidelines. We can't wait to help you plan your session! 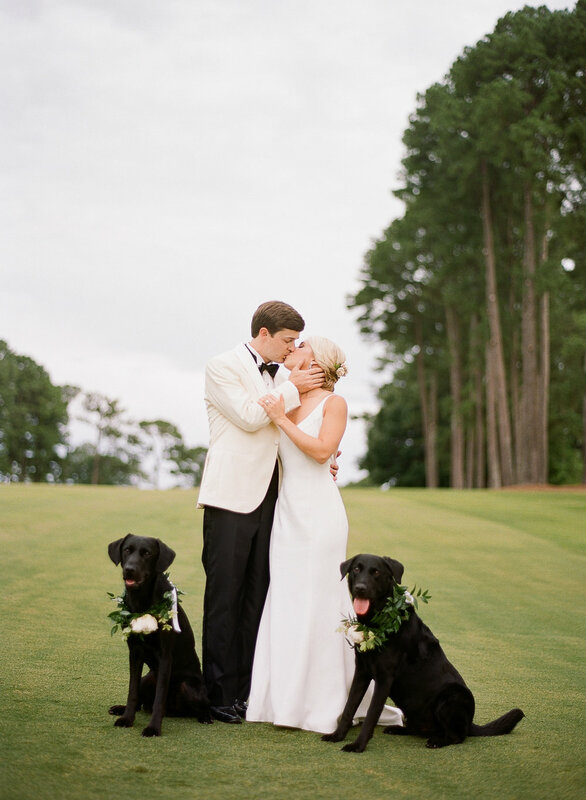 Check out a few pup filled images below that have our heart!